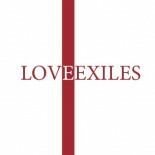 Love Exiles Foundation | Do Ask! Do Tell! We know that we are meant for each other and believe in fate. Things will happen that are meant for you. If there is no solution in the U.S. I am happy that we can live in the Netherlands. We know so many sad stories from people who are in the same situation and come from 2 countries where they cannot live together. The most important thing is to share your story with your congressional representatives and local media in your hometown. Write a letter to the editor!